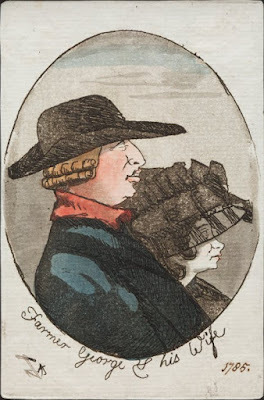 Over the last year or so I've been taking an interest in the history surrounding King George III. One thing that has stood out are the obvious parallels with that other famous George from the period - first American president George Washington. In of itself it's a little bit interesting that the figureheads on both sides of the American War of Independence were called George. However, the similarities go much deeper. For a start, both men were said to have reddish hair, though in each case they powdered it white. They were likewise of a similar age. Both being born in the 1730's. 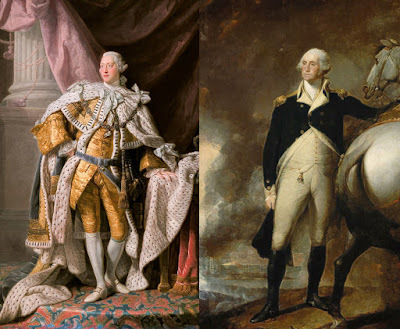 Washington in 1732 and King George in 1738. The surviving diaries [of Washington] which deal with agriculture begin in 1760, a year sometimes used to denote the beginning of a new agriculture in England. It was also the year of the ascension of George III, a monarch so fond of farming that he maintained experimental plots at Windsor and submitted articles for publication under the name of his farm overseer. The influence of English agriculture on Washington and others in this country--Jefferson included--was indeed great. A sentiment that could perhaps be said to be common to both Georges. Another interesting thing worth noting is that the name George is actually said to mean "farmer" or "earth worker". Coming from the Greek Georgios (Γεωργιος), hence the root geo in words like geography. So far, so similar. However, an even more curious similarity comes in the odd fact that both Georges were associated with famous Whites Houses. The "white house" associated with George Washington is of course the universally known the White House - set in the American capital so named for him. Though it should be noted that Washington never actually resided at that White House during his lifetime. John Adams was the first US president to occupy the building, as it was still under construction during Washington's time in office. Washington did however spend time at another white house - in this case the White House plantation where he was said to have courted Martha Washington. Some have speculated that this is where the main White House derived its name. So I guess you could say he was doubly associated with a "white house". What's generally less well known however is that George III was also associated with a white house. His being the White House at Kew on the Thames, up river from London. 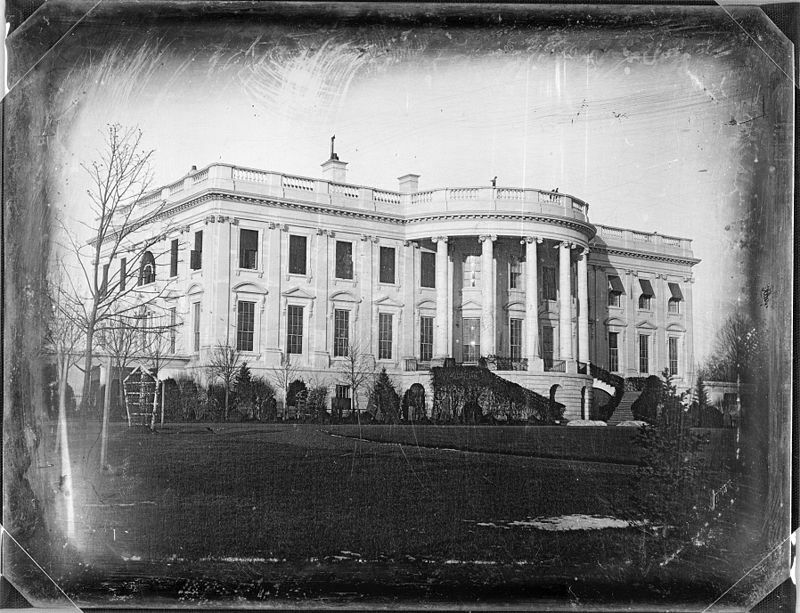 It was at this White House that George was kept during his supposed bouts of "madness". Interestingly, this White House at Kew was demolished in 1802, just two years after the White House in Washington was completed. So, to conclude, we have two Georges - one commander-in-chief of the Continental Army that fought to secure American Independence from the British. The other, King and figurehead of Britain itself. Both with reddish hair, both with a passion for farming and farming innovation, and both famously associated with a white house. How odd history is.